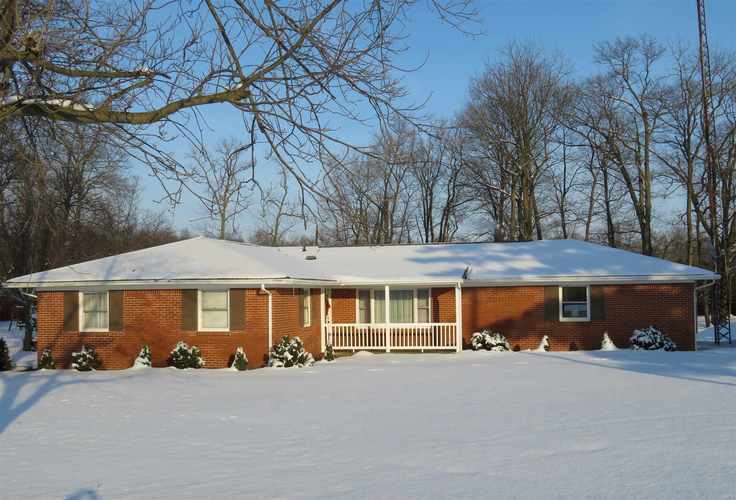 Beautiful brick ranch home on 1 acre in Maconaquah School District...3 bedrooms, 2 full baths, large living room, gas fireplace in the open kitchen/dining area, easy work full appliance kitchen with pantry and small appliance storage closet, master en suite with walk in closet. Large patio for outdoor entertainment, brand new 24 x 36 pole building and a 2 car heated and air conditioned attached garage with new insulated overhead door. Directions:State Road 19 South to 250 East, south on 250 East to home on east side of road. Listing provided courtesy of Century 21 Creative REALTORS.